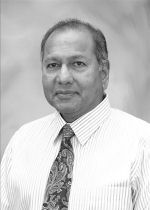 T. A. Reddy, MD is an internist with over 30 yrs of office and hospital practice experience in Midland, TX. He completed his Medical Education in India, graduating from Gandhi Medical College, Osmania University, Hyderabad. After completing internship in India he went to the United Kingdom. In the UK he worked in the British National Health Service, training in General Internal Medicine. This was followed by training in Tropical Medicine & Hygiene at the University of Liverpool, England and Public Health training at the University of Glasgow, Scotland. Dr. Reddy completed a residency training in Internal Medicine in Chicago, IL and then started private in Midland, TX. He served as Chairman of the Department of Medicine at Midland Memorial Hospital and chief of Medical Staff at the Physicians and Surgeons Hospital in Midland. He is board certified by the American Board of Internal Medicine. He has been with BCE as lead coach since its inception in Midland.